Gorgeous 1.5 story situated on a corner, cul-de-sac lot. Enter the 2 story foyer to be greeted by gleaming hardwood floors & a dining rm w/ hardwood floors & arched openings. Spacious 2 story great rm boasts a wood burning fireplace flanked by ceiling to floor custom windows & opens to the kitchen/breakfast rm, creating an open feel w/ tons of natural lighting. Kitchen features 42" cabinets, new granite countertops & composite granite sink, built-in microwave, breakfast bar & adjoining breakfast rm w/ bay window & French doors to the patio. Large ML master w/ double doors, coffered ceiling & full bath w/ double sinks, soaking tub, walk-in shower, linen closet & walk-in closet. 2 addtl bedrms on the UL, full bath & loft area. Finished LL w/ a large family rm, bedrm w/ walk-in closet, full bath & tons of storage. ML laundry rm, patio, 3 car garage, 2 subdivision pools, subdivision park & more! Conveniently located near amenities & schools. 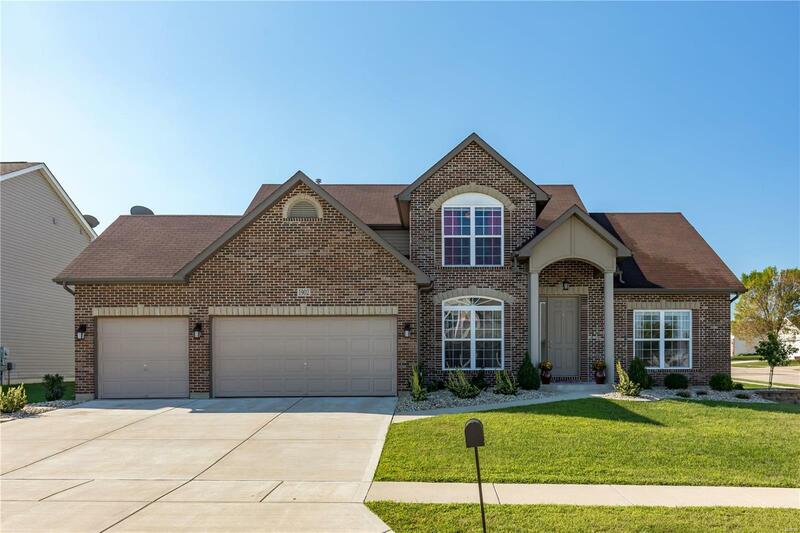 This impeccably maintained home is a must see!